Whether upgrading an old, adding to an existing one, or installing a brand new video surveillance system, Urban Security Group's business grade level IP security cameras are a tried, tested and proven top choice for retail consumers and professional CCTV installers alike! Weatherproof Connector + Accessories Included! HiSilicon HS3518EV200 DSP + 1/2.7" SOI F22 Advanced CMOS 2MP HD Image Sensor = UPGRADED PREMIUM INTERNAL COMPONENTS! Networking Knowledge & A Professional CCTV Installer ALWAYS Recommended! 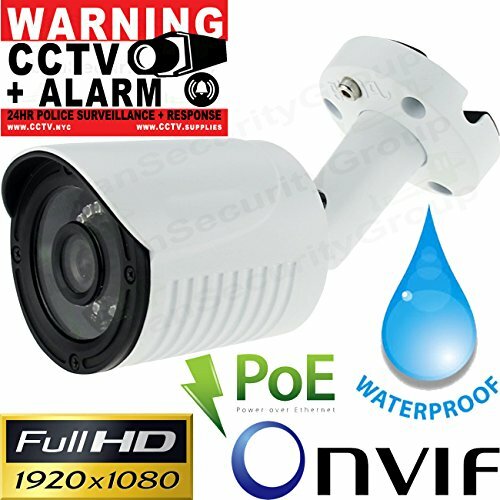 Amazon Search "Urban Security Group" For More Of Our Professional Grade CCTV Products!